NEW LEASE RETURN!!! 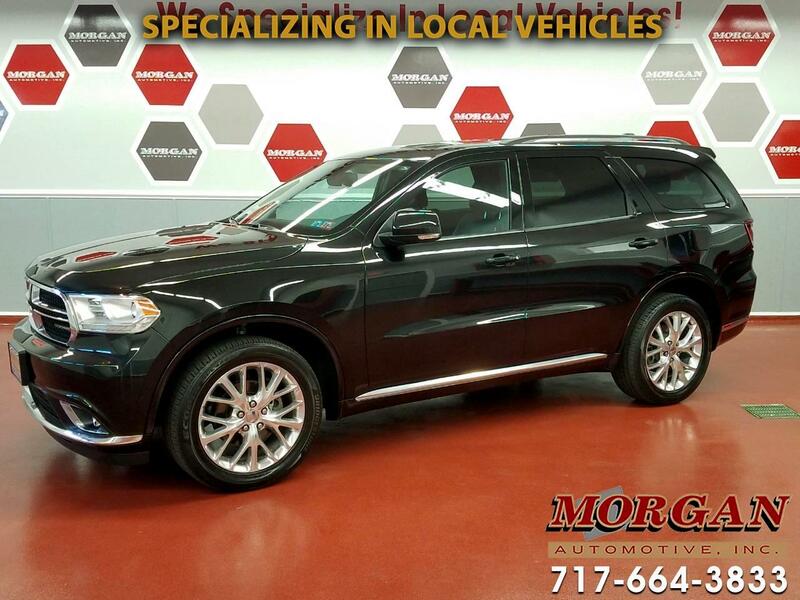 BEAUTIFUL 2016 DODGE DURANGO LIMITED AWD WITH ONLY 39K MILES!! ****CLEAN ONE-OWNER CARFAX**** This is a very-well equipped SUV with second and third row bench seats with room for 7 passengers! Comes with heated front and second row seats, heated heated steering wheel, 8.4" uConnect touchscreen infotainment center with AM/FM/CD/XM/Bluetooth radio with Beats premium audio system, Navigation and rear view camera, power equipment including power liftgate and tri-zone climate controls. Has a new PA inspection, fresh oil change, and tires and brakes are in great condition. Comes with the balance of the factory powertrain warranty with options to extend coverage for added piece of mind. Trades are welcome and financing is available.